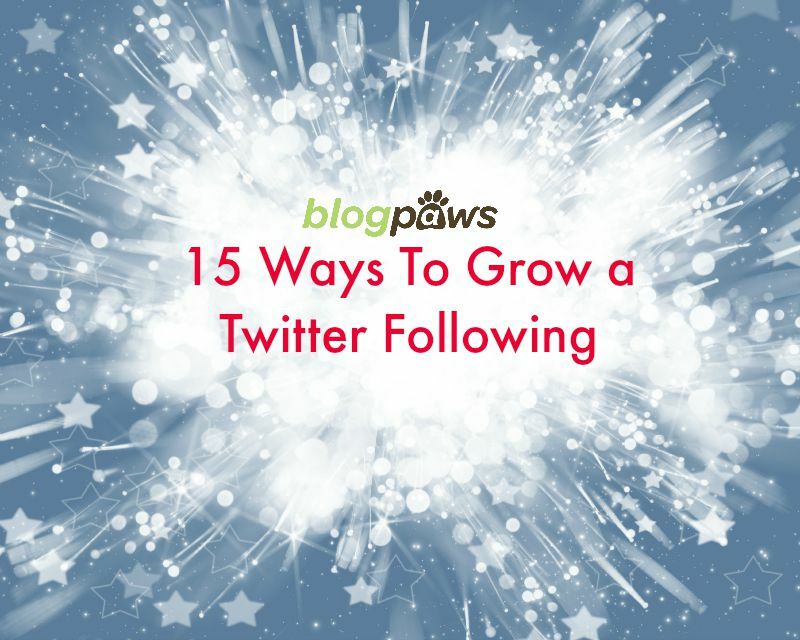 Not only is Twitter a place to share news, but it is a highly successful platform to engage with your readers, let brands know you exist, connect in ways that could open doors, and attract new visitors to your blog. Is it easy to grow a following? No. Can it be done with persistence, patience, and a social media plan? Heck, yes. 15. Spend at least a half hour on Twitter two times each week. This is a half hour that you are actually interacting with people and not just sharing your blog posts or re-tweeting others. Actually engage in a conversation. 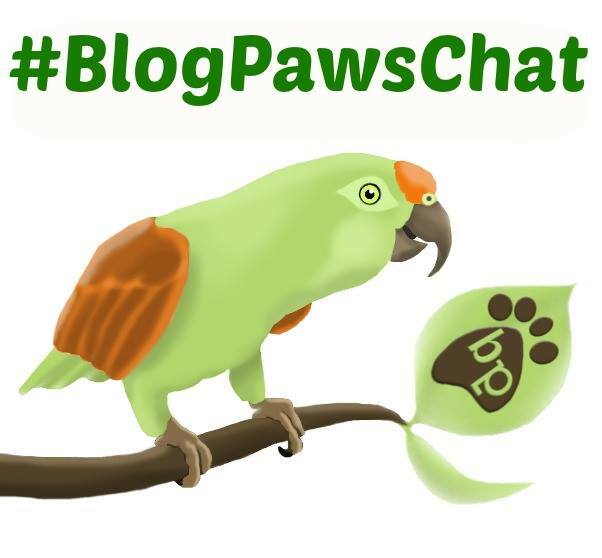 (Join #BlogPawsChat on Tuesday evenings from 8 – 10pm Eastern Time: We do this every Tuesday except the third Tuesday of each month – see below). Find ways that a blog post you wrote fits into a holiday. For example, Miss Piggy broke up with Kermit the Frog and a whole reality series is coming out about it. 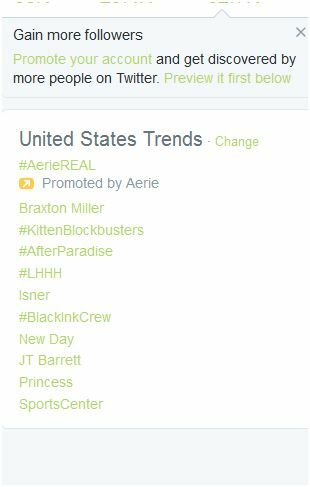 As a trending topic you could tweet about how some animals are loyal and jump on that hashtag. 13. Be a reciprocator: If someone follows you, then follow them back. Yes you should still check their profile information and see what they are tweeting about, but as long as it is not a spam account – you should follow back. 12. 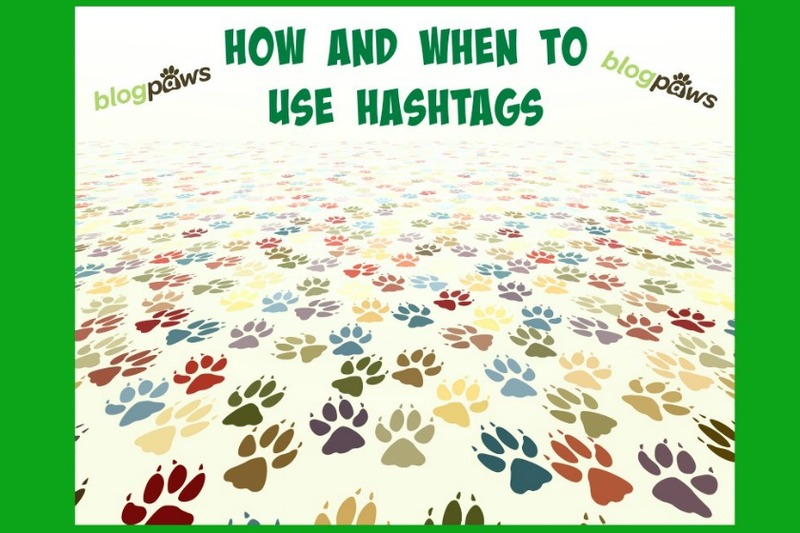 Hashtags are a great ways to find and join in conversations. The best hashtags to hang out and interact with are often the ones that are trending at the moment. Engage with them in a way that is genuine and shows you want to be a part of the conversation. 11. Share content on twitter that would make you want to engage with it if you saw it going through your twitter feed. Ask yourself is this something that you would click re-tweet on or join in on the conversation. Total Impressions = your number of followers. When you Tweet directly at someone (by putting their @handle as the beginning of your Tweet), that Tweet only comes up in the feeds of users who follow both you and the person you are directly Tweeting at. Why? It’s pretty much so you don’t flood other people’s streams when you are tweeting back and forth with someone but If you dot before you @mention, your Tweet shows up in the feeds of all of your followers. If you don’t dot before you @mention, your tweet is considered conversational and only shows up on your stream, the stream of whoever you Tweeted at, and those lucky followers you both have in common. If you start off a tweet with the @ symbol, the only person who will be notified about it is the username the tweet is targeting. The only users who will see this tweet are the accounts you’re referencing and anyone who visits your profile, but the tweet won’t be automatically pushed out to everyone who follows you. If your brand has thousands of followers, this can be a big problem. By adding in another word or a period before the @ symbol, your tweet will be pushed out to all of your followers because the @ symbol is not the first character. 9. When you get a new follower say hello. Ask them if they have pets. If it is clear from their profile that they have pets ask them to share a picture. People love to share pictures of their pets. 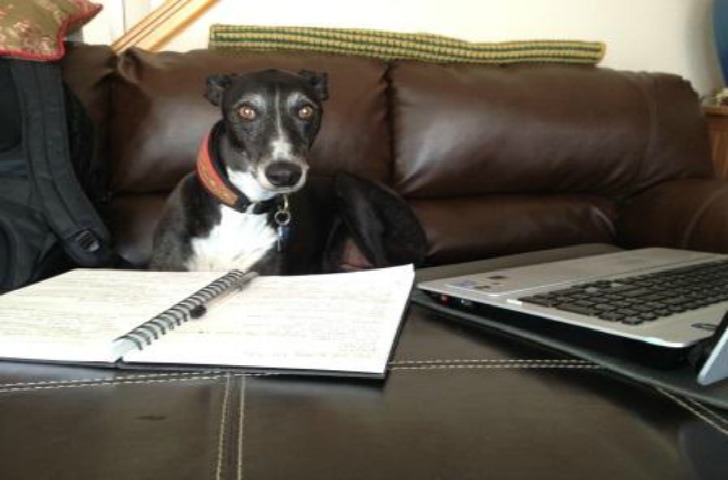 Re-tweet content from other pet sources and not just your own blog content. 8. Share content on twitter that would make you want to engage with it if you saw it going through your Twitter feed. Ask yourself is this something that you would click re-weet on or join in on the conversation. 7. Be consistent but thoughtful: You know that guy or gal at a party or at the office who won’t stop talking to the point it is beyond annoying? Tweeting too much can be like that. People may just glaze over a plethora of rapid fire tweets. Tweet at different times using tools like Hootsuite, Tweetdeck, or Buffer. With over 10,000 tweets posted every second (and growing), you can easily get lost in the noise. 6. Share other people’s content. Be the first word in social media: Social. It sounds like common sense, but people fail to do this. The most successful social media pros are the ones who reciprocate. Join a Tribe or two on Triberr, find blogs that are involved in your niche and share their posts, re-tweet their content, and shout them out. The goal is to be helpful but not annoying so don’t bug people and blatantly ask for a follow back. 5. Use Twitter lists. This is perhaps my favorite tip of this list. I have a few lists: PR pros, pet bloggers, lifestyle bloggers, celebrities, news, pet industry…and that is so I can keep up on topics across different niches with a glance or two. Twitter lists allow you to segment folks you follow by category, which makes it easier to tweet them, talk to them, etc. Create public Twitter lists (vs. private) so members know when they’re added and likely reciprocate. Private is great if you want to keep the info to yourself. 4. 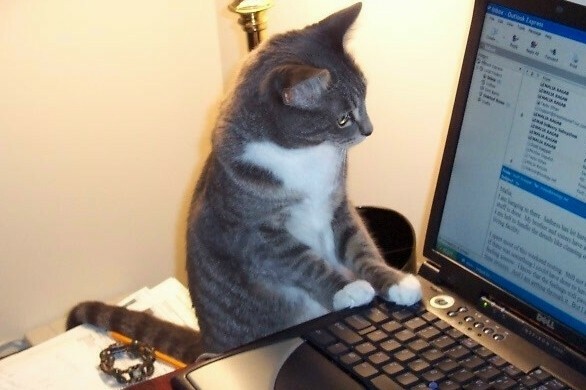 #BlogPawsChats have become so popular and often move so quickly, we’ve heard that some of you feel lost in a sea of tweets. Introduce yourself! A lot of interaction happens with other community members – who always start with a greeting like, “I am so excited to be here to hang out with @Sponsor’s name”. 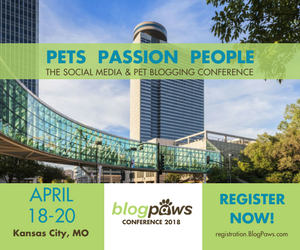 Other times they will actually call out friends, “Waving hello to @BlogPaws @friend’s name and @persontheylookuptoinsocialmedia”. Not only will you get these people’s attention but others will see the tweet and often reply to you. The chats take place every Tuesday night, except the third Tuesday of the month, which we take off. However, this is a great place to grow, meet people, and follow the folks in the chat. In turn, most folks will follow you back. After the chat, don’t forget about them: Tweet and retweet: Show an interest! The more you participate during chat the more others will interact with you. Participation means people will follow you and each of your future tweets will become more impactful. 3. Favorite things on Twitter. Favorites, represented by a small star icon in a Tweet, are most commonly used when users like a Tweet. Favoriting a Tweet can let the original poster know that you liked their Tweet, or you can save the Tweet for later. It also helps you go back later and remember which profiles you want to interact with more in the future. Overusing hashtags: One to three is fine in a tweet. Forget to use #sponsored or #ad if your tweet includes a blog post or info you are being compensated for in some way. Don’t follow too many people per day. Twitter might mistake you for a spam bot and lock your account. Try for 50 to 100 a day if you can. 1. Hit Mute to Avoid Clutter: Discovered this one from PCMag.com: When you get tired of reading tweets from someone annoying, you can click mute to remain a follower but eliminate their posts from your Twitter timeline. To mute, click the More button under a tweet on the desktop, or just hold your finger down on a tweet in the Twitter app for iOS or Android. Got a favorite Twitter tip? Share in the comments below.